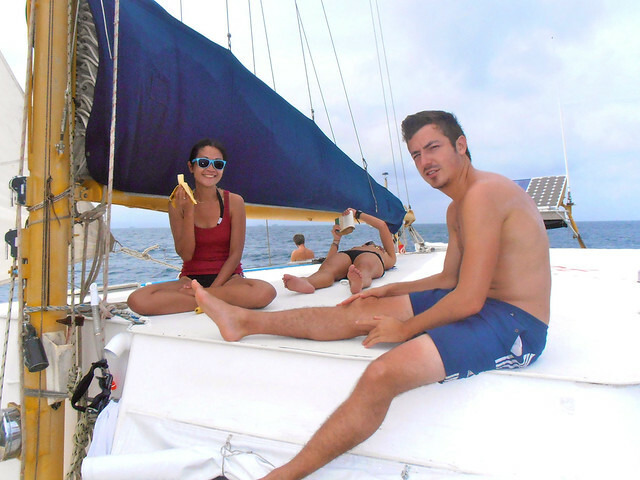 One of the most popular backpacker route of border crossing Panama to Colombia (or vice versa) is the 5 days sailing trip through the stunning islands of San Blas. Well, mostly boats will run on motor, but sometimes they put up the sails to make you happy. 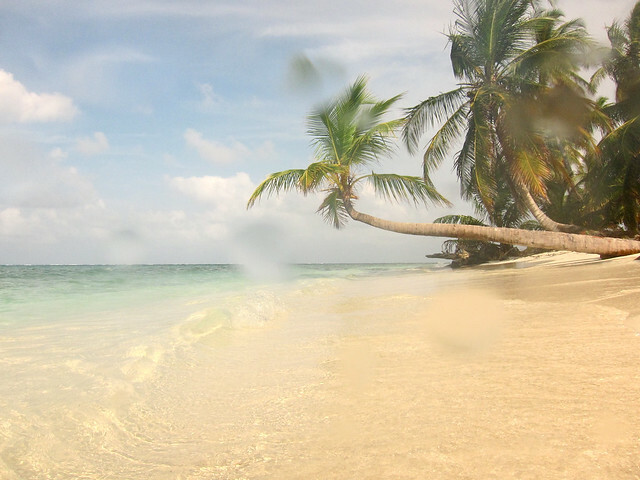 The San Blas Islands is an archipelago of 378 island (49 inhabited), situated just off the Caribbean coast of Eastern Panama. The indigenous people are the Kuna Indians who have self-governing authority. I first heard of this cruise in Costa Rica meeting travelers who arrived this way. It took me half a second to decide that I want to do it too. I sailed with Captain Gisbert of Santana, a 50 foot long aluminum catamaran docked in Porto Lindo, about 4 hours bus ride from Panama City. It costs 450$ inclusive of all paperworks to cross border, sleep, and 3 meals. Juices, cola, and alcohol are not included but you can bring your own. Captain Gizz is a German sailor who amazingly did everything on the boat himself (running, cleaning, cooking), but the crew helped out as much as we can–in food preparation (chopping, grating, peeling) and took turn washing the dishes. I vouch that he’s a good cook and has high regards to safety, which is kind of important. 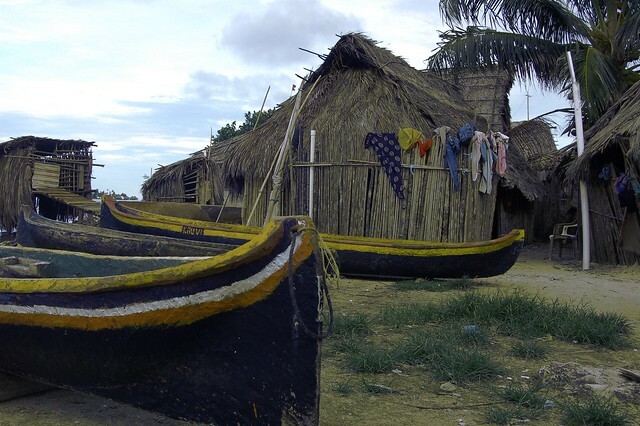 According to the captain, the most popular season is during the dry season which would be between the month of November to March where boats would fill up fast. 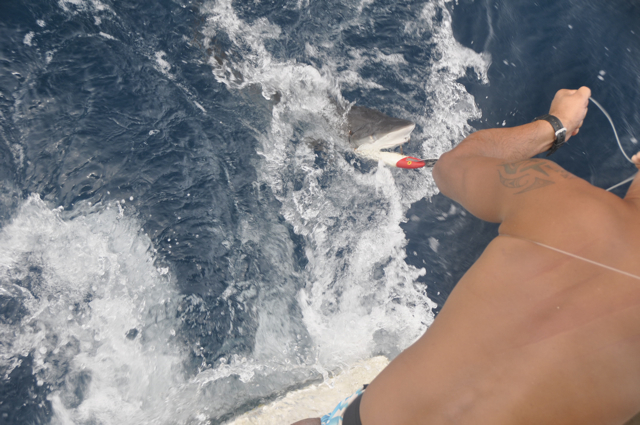 I was fortunate to find a slot that leaves 3 days after I arrived Panama City. But then again it’s always easier traveling solo. Including the captain, we were 16 people. It’s a big boat alright, but it would have been more comfortable with about 12, which would be the case during low season. I suppose what made the boat bit crowded was that 10 of the crew were a group of boys and girls who were no longer teenagers but acted like so. Among them they had 22 bottles of rum and over 200 cans of beer. They’re basically good kids who were friendly, helped out on the boat and I reckon could be interesting individually, though together were kind of disastrous. They’re a little too loud and drank a bit too much, but then one can’t say they weren’t having a good time. It can be fun to be with them if (1) it’s NOT 5 days straight, (2) you’re not trying to sleep at night, or (3) desiring for some peace and the sound of nature. 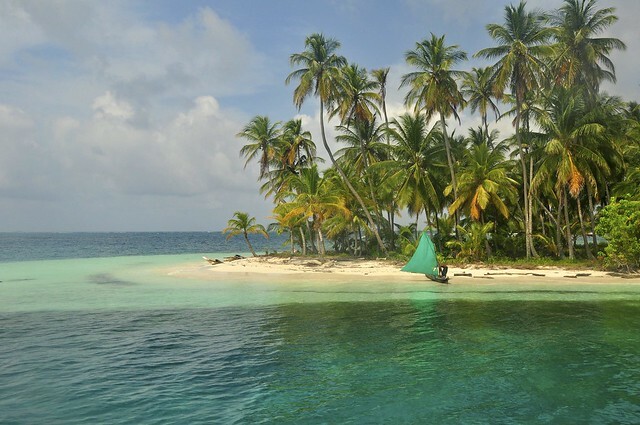 San Blas Islands would the model for travel magazine’s Caribbean–white sand beaches and coconut trees. Everyday we sail for about 6 hours and anchor somewhere for the night. 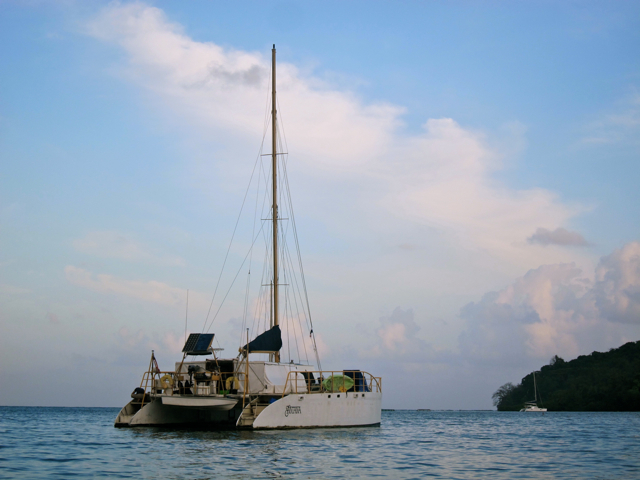 We usually docked in the mid afternoon and the rest of the day will be spent swimming, snorkeling, or chilling in the beach. On the 2nd day, we found the perfectly deserted island, all pristine white with turquoise water. 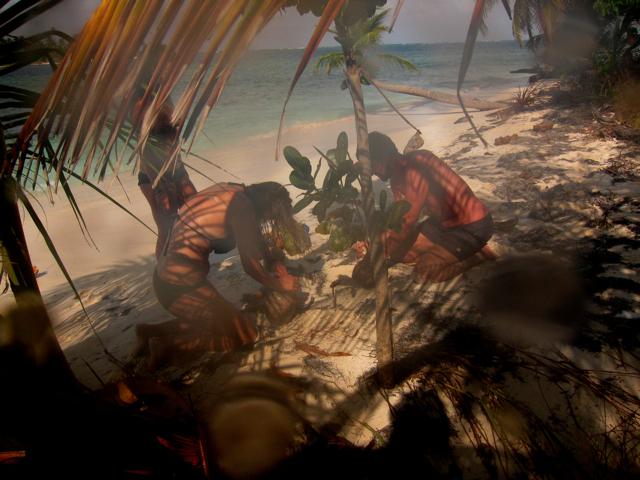 There were so many coconut on the ground that we had a feast drinking the juice and eating the meat. That night we went back to the island and had a bonfire party. Some crew from another boat came over too. I need to warn you about the coconuts though. You’re not suppose to take them without permission, not even if the island is deserted and even if they’re on the ground. You can buy them from the Kunas if there’s one around. It costs 1$ per coconut. However, if you take them without permission and was caught, they will come on a little canoe with a rifle (truly) and fine you $100 per coconut. I know this because it happened to us, but we didn’t actually pay $100. They settled for $10. But I met some people in Cartagena who actually paid $100. I think this is a new thing because the captain didn’t warn us about taking coconuts. I’m sure now he will do to the succeeding crew. Life on this trip can be really hard. You wake up and breakfast will be ready. Then you rest in the deck, perhaps read a book while sun bathing, have a beer, chat with your mates, or maybe take a nap. Then before you know it, it’s time for lunch. And then again you do one or all of the activities just mentioned. Then by 2 or 3 o’clock, we arrive somewhere and then it’s time to swim, snorkel, and/or explore the island. You rest a little bit and then dinner is ready. Like I said, life is hard. Sometimes the difficult lifestyle is made exciting by certain highlights. Our boat has a fishing reel and hook on it and one time (the only time) something took bait. That got everyone so excited we all gathered around. It was a shark! A baby one. But since it was too small to be shared as a meal, we sent him back home. Some of the guys were scared that the mother will come looking for the baby. And for a while some of them were hesitant to jumped into the water. Lol. Once in a while you’ll spot dolphins in the water while cruising. 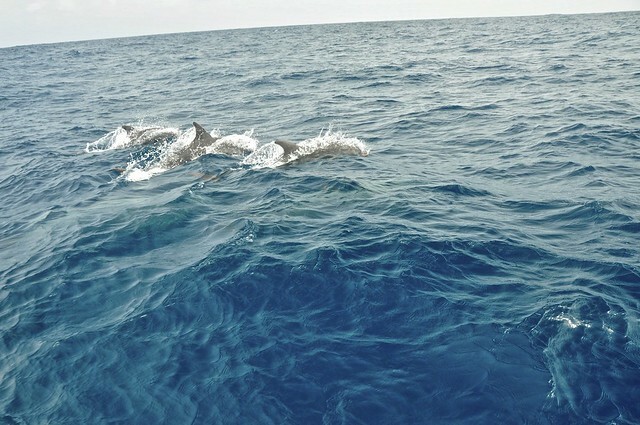 But one day, twice that day, we had a whole army of dolphins escorting our boat for over 30 minutes. Ok, they were 7 or 8 of them. They were mesmerizing I sat there the whole time watching their show. I’m afraid to go get my camera fearing that they’ll be gone when I come back, but I was still able to get a lot of photos and video. 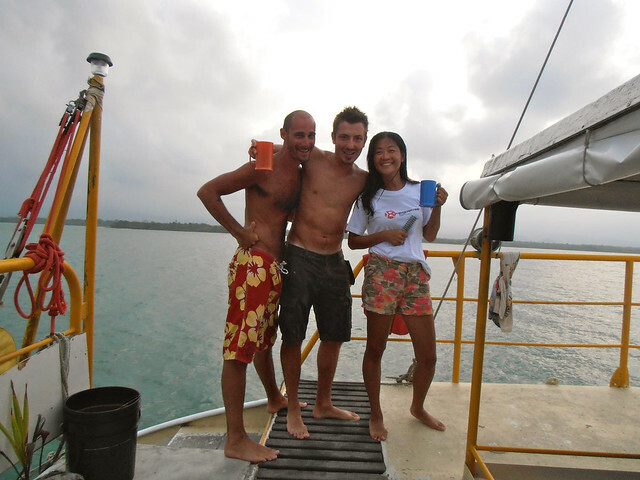 Another interesting (good) experience we, the sane® crew members, had was on the last day, we swam to the mainland (or a big island). We started walking and came to a Kuna Village. It looked really organized–bermuda grass football field by a Catholic church. We continued exploring and came to the village entrance. Remember we swam over so we were in our swim suits. I was hesitant to go into the village, but one of the Kuna lady, an elder, handed me a sarong. So nice! So we went into the village and speak with the locals. Some of the men speaks Spanish, most of the women don’t. The children speaks Spanish as schools are taught in Spanish. It was really, really cool. I wish I had my camera with me! But some of the people I met who did San Blas tour actually visited villages. We met a guy in this village that speaks English and he said that he could organize lunch in his house for boats. I was disappointed that our captain didn’t organize this, but I’m glad that we at least had this little expedition. Some of the people in our boat didn’t, but then they were more interested to get more rum. What, where, where to book? Have you done a similar trip? First picture looks like a HEAVEN! Sailing there will be magical. I’m spending two days on the smallest island I’ve ever visited and wondering if two days are too much. But when the boat docks at the island, and I’m wondering if two days are too few.